Test Valet suites support and integrate a variety of analysis and report generation tools. In general analysis can be categorized into engineering data and test process analysis and reporting. 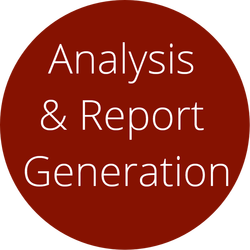 Test process reporting and report generation are combined into a thin client interface for ease of use and standardization aspects with TestValet. Test process analysis and reporting include Management reports (Dashboards) on throughput and performance of the test lab. Printer friendly formats and exports in all ad hoc query and reporting modules.